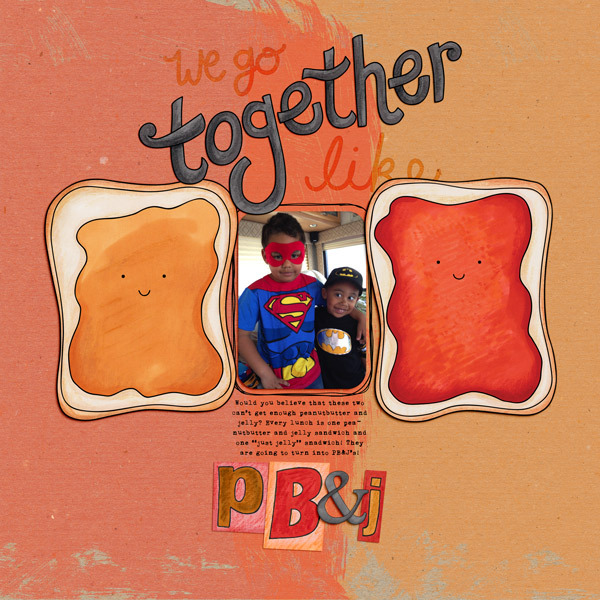 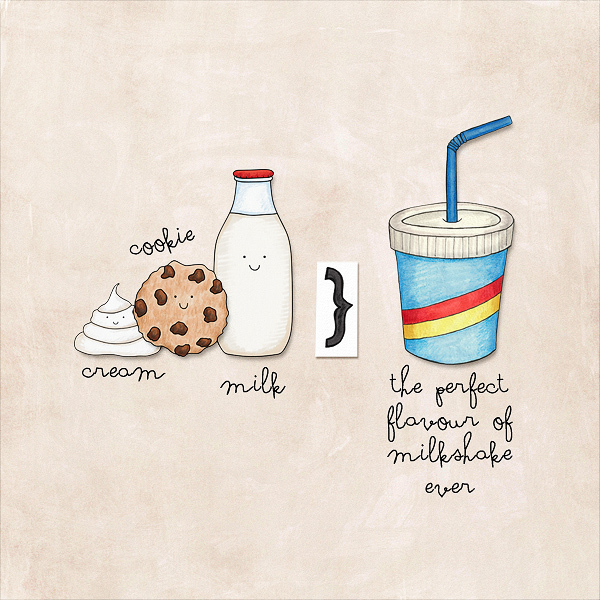 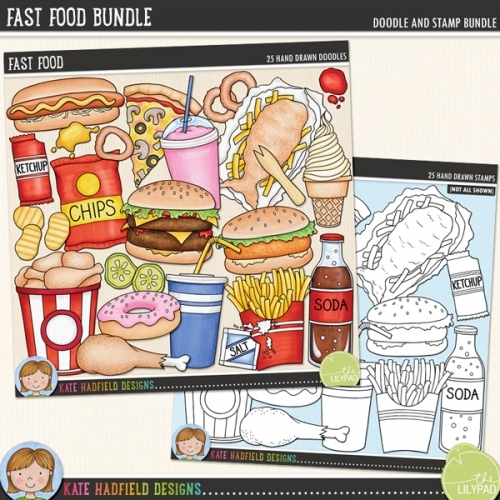 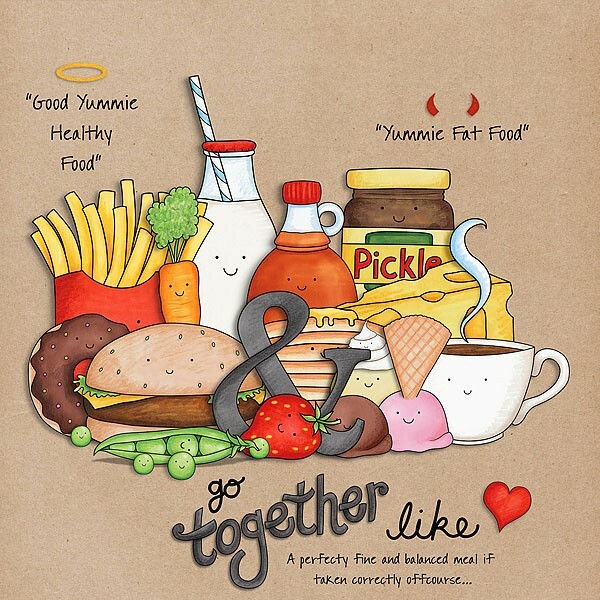 A collection of fun, cute food characters that go together to make perfect pairs! 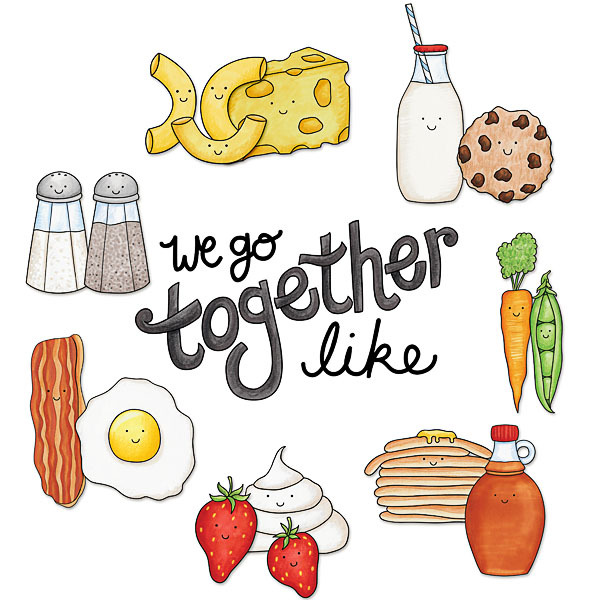 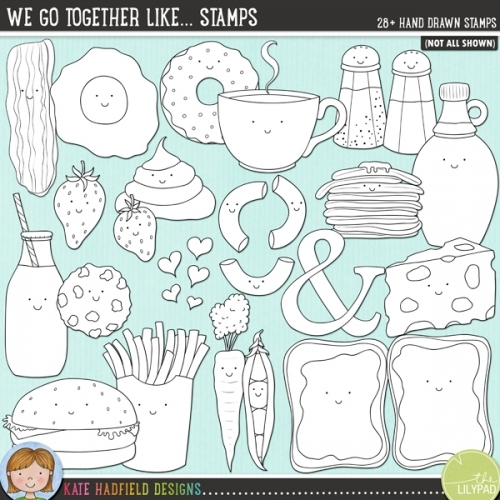 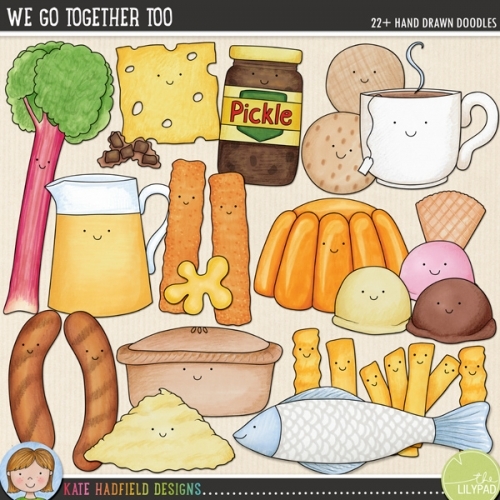 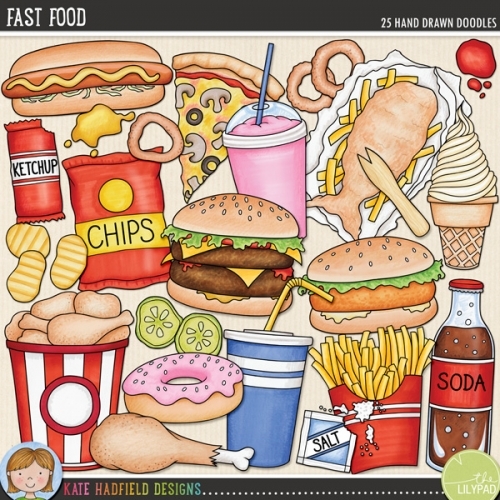 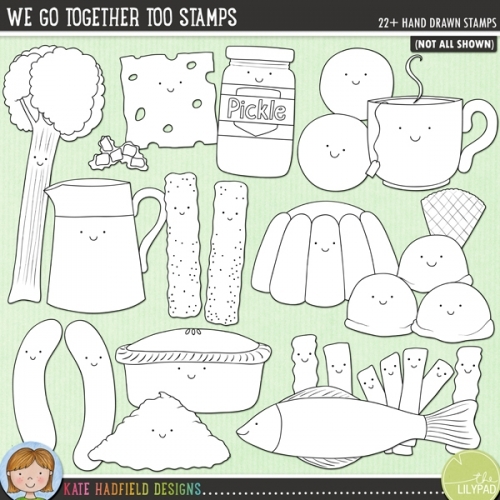 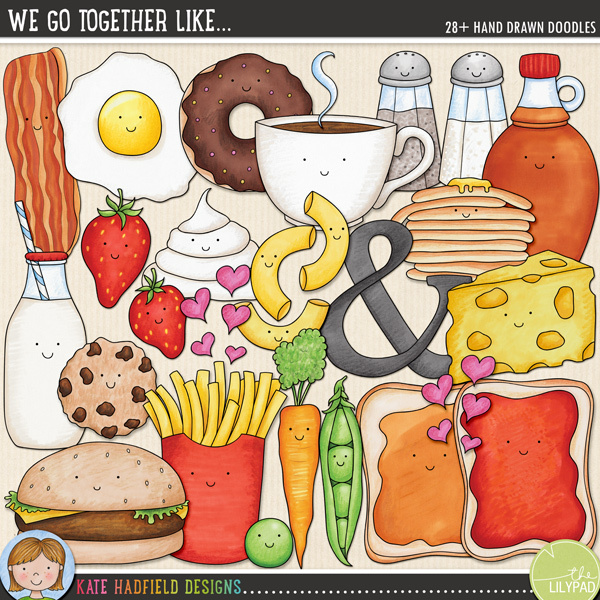 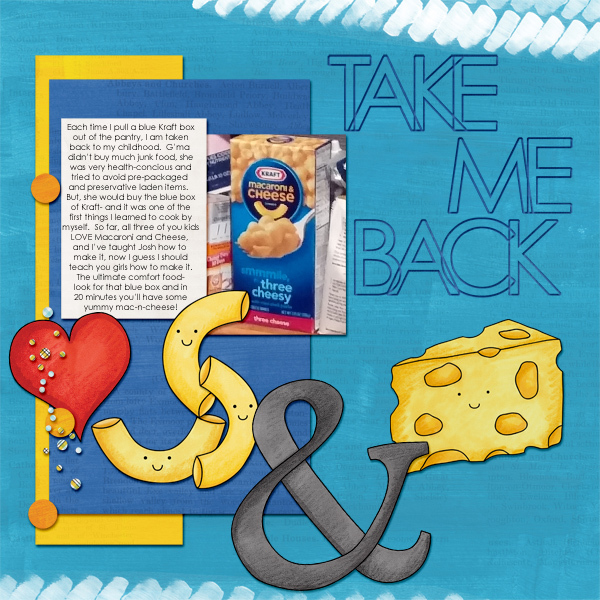 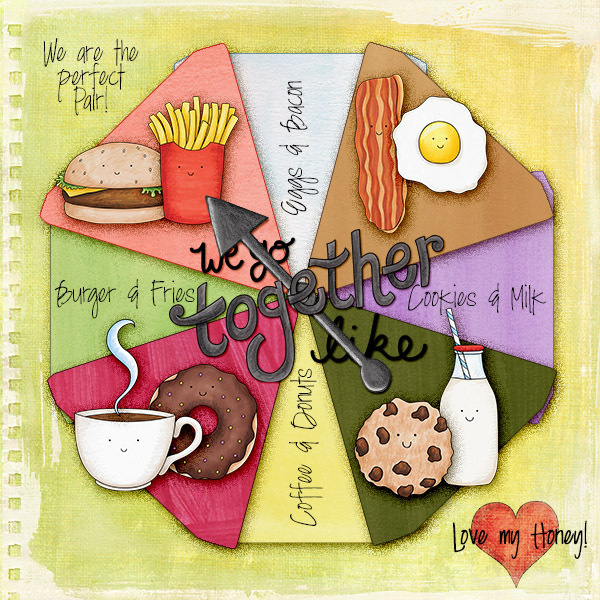 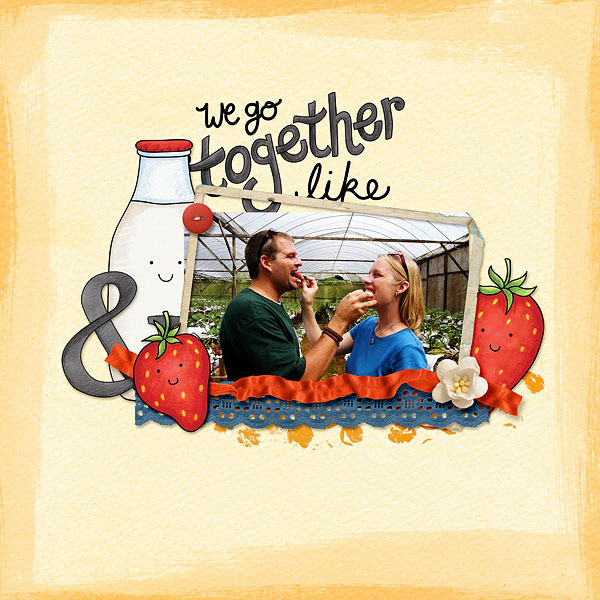 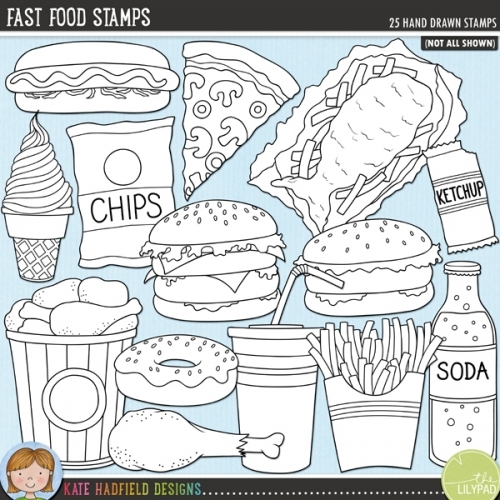 Fun for Valentine's projects as well as everyday layouts, We Go Together includes the following hand drawn doodles: bacon and eggs, burger and fries, peas and carrots, macaroni and cheese, coffee and donuts, milk and cookies, strawberries and cream, peanut butter and jam / jelly, pancakes and syrup, salt and pepper. 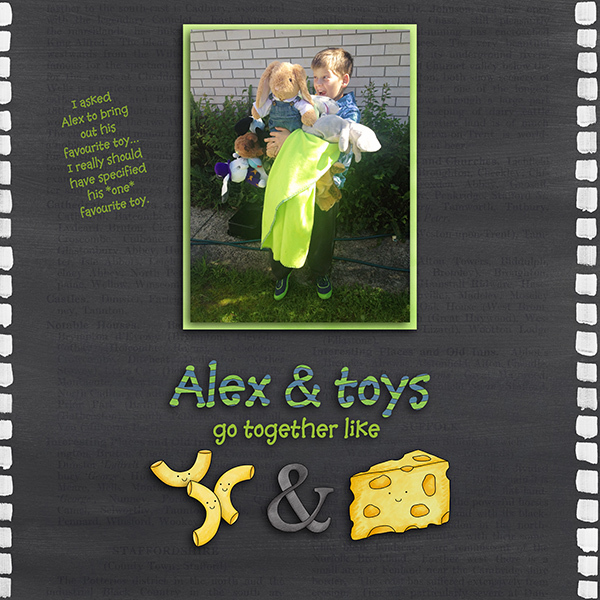 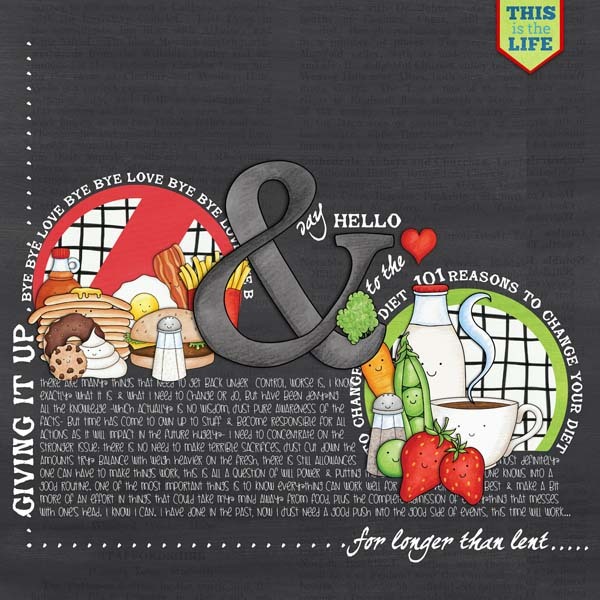 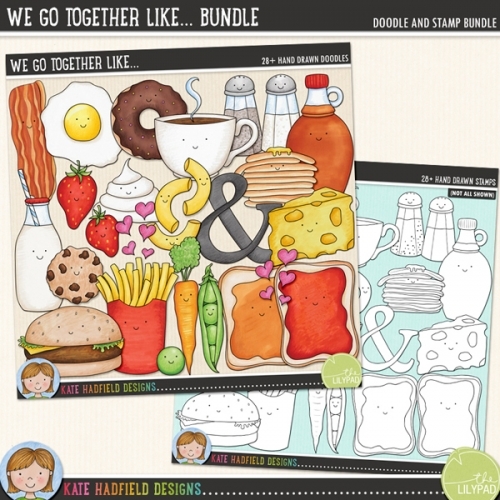 Also contains "We Go Together" wordart, hand written "your'e the" and "to my", ampersand and hearts doodles.